All.biz is tracked by us since November, 2011. Over the time it has been ranked as high as 1 979 in the world, while most of its traffic comes from Russian Federation, where it reached as high as 482 position. Wood-market.all.biz receives less than 4.57% of its total traffic. All this time it was owned by Irvinston Services Limited, it was hosted by LeaseWeb Netherlands B.V.. While NEULEVEL was its first registrar, now it is moved to . Wood-market.all has the lowest Google pagerank and bad results in terms of Yandex topical citation index. We found that Wood-market.all.biz is poorly ‘socialized’ in respect to any social network. According to MyWot and Google safe browsing analytics, Wood-market.all.biz is a fully trustworthy domain with no visitor reviews. All.biz gets 11% of its traffic from Russian Federation where it is ranked #3411. Ua.all.biz is the most popular subdomain of All.biz with 13.09% of its total traffic. Wood-market.all.biz is not yet effective in its SEO tactics: it has Google PR 0. It may also be penalized or lacking valuable inbound links. 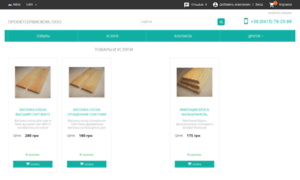 Wood-market.all.biz domain is owned by Irvinston Services Limited and its registration expires in 1 year. It seems Wood-market.all.biz has no mentions in social networks. Wood-market.all.biz is hosted by LeaseWeb Netherlands B.V.
Safety status of Wood-market.all.biz is described as follows: MyWOT reports its overall reputation as good and Google Safe Browsing reports its status as safe.